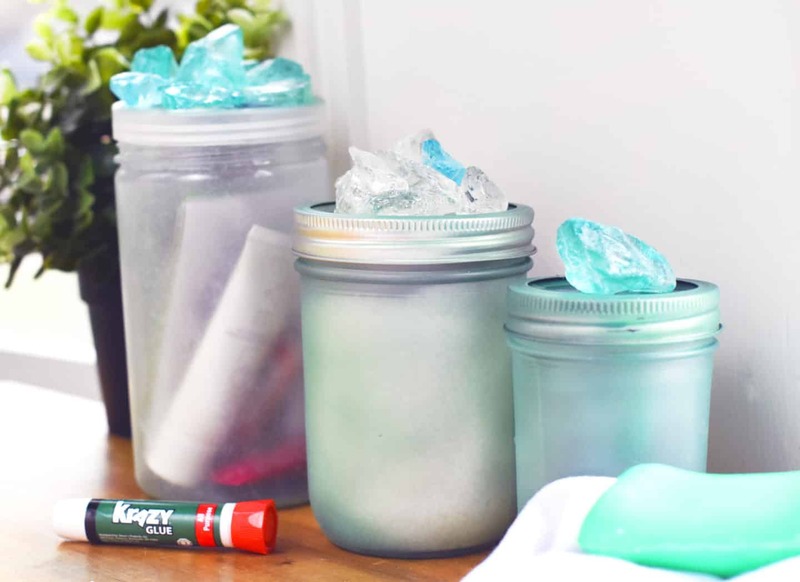 These DIY sea glass topped storage jars are sponsored by Krazy Glue. All opinions and thoughts are my own, always. Find our full disclosure here. Are you always on the hunt for pretty, inexpensive storage, like I am? There are never enough cute storage options in my house. Never! But often the pretty storage option can be a bit pricey. Especially for how many I need. 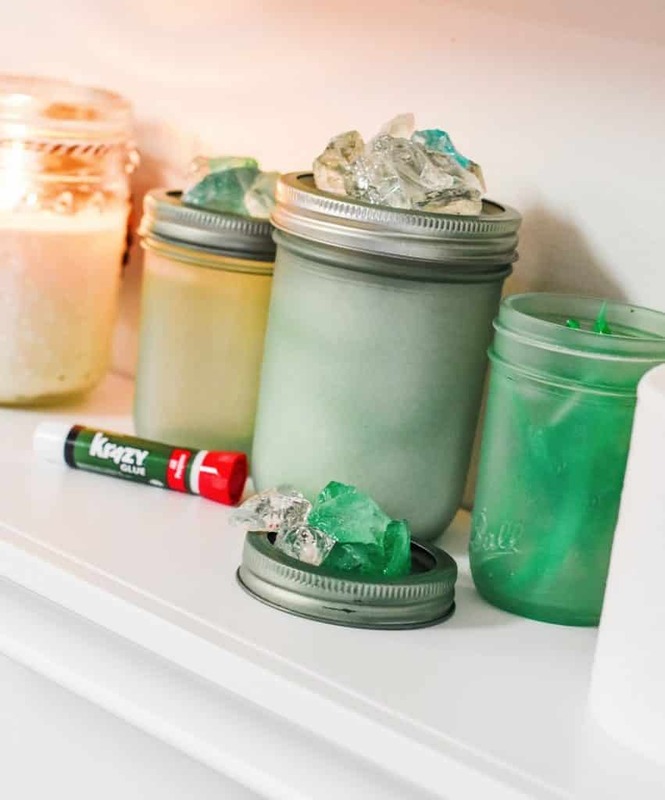 These DIY glass storage jars with sea glass tops are so pretty and so easy to make thanks to Krazy Glue. I know you are thinking right now that they are only easy for those people that have crafting skills. Not true. You really only need to use spray paint and Krazy glue to make these. 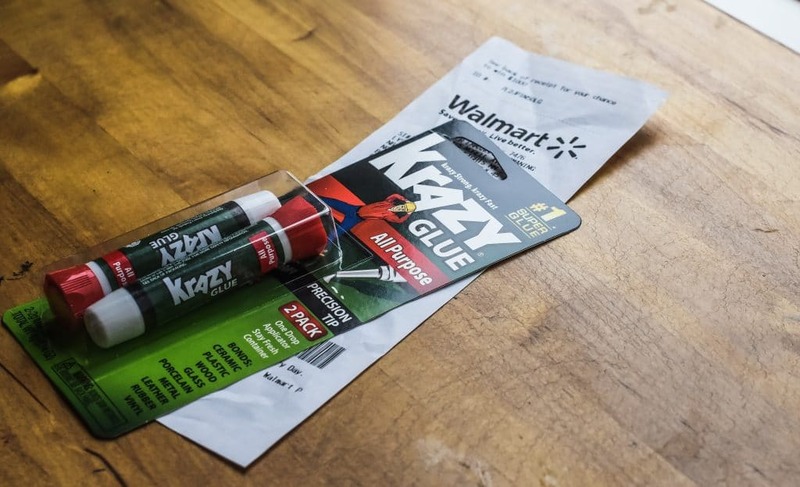 And all of the materials can easily be found at Walmart. Personally, I wouldn’t mind one bit if you made up a set of these jars and gave them to me for a gift. Not one bit. 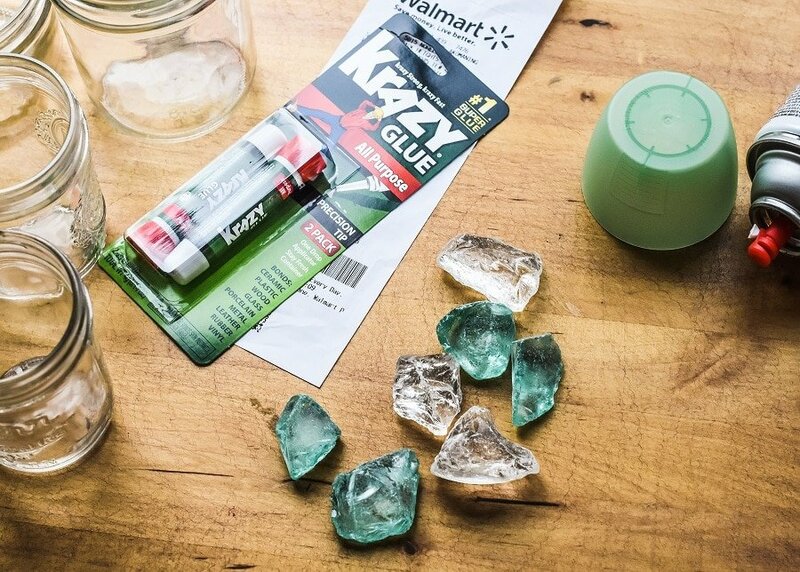 If you don’t have sea glass or access to it you can find it in the crafting department of Walmart. Other ideas to try would be agates, stones, and even large beads. 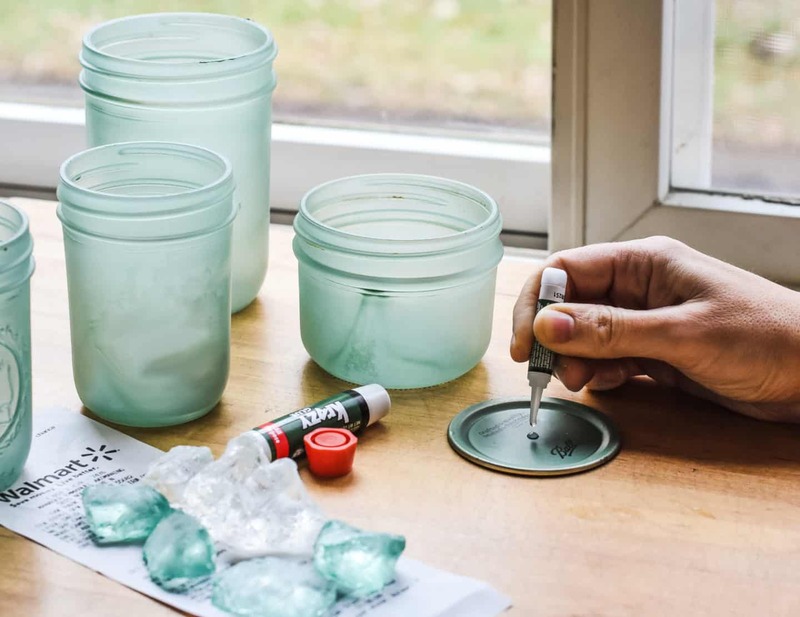 This project only has 4 materials: jars with lids, spray paint, sea glass, and Krazy Glue. Easy! 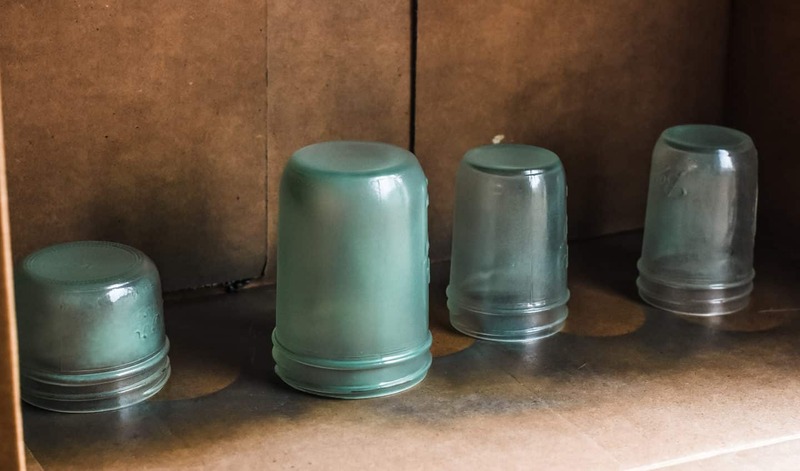 Spray your jars in the desired color using light and even coats. Let dry in between each coat and build until you get the desired color. Let dry throughly. Note: It is up to you if you like the look of the lids being painted, as well. 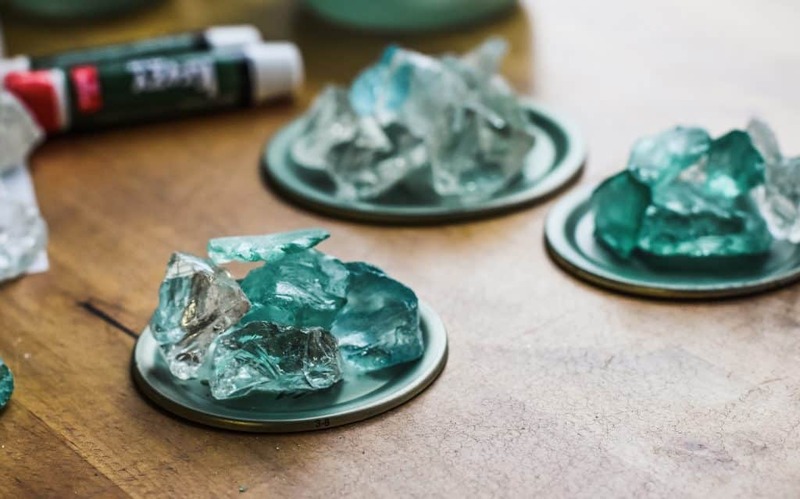 Be aware they need to dry completely before fixing the sea glass to the top! 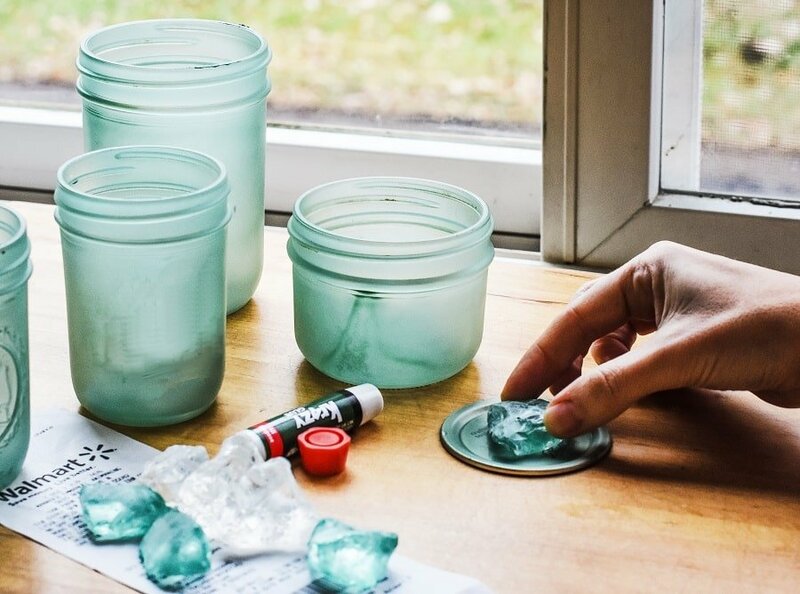 Afix the sea glass to the jar lid using Krazy Glue. Be generous in how much you use. Note: You can use one large stone or pile multiple smaller stones (like you see here). Either way be sure to use glue on any of the surfaces touching another surface. Let dry the recommended time on the back of the container. Fill up your new beautiful jars and set them out for all to see. Mine will be making their way to a friend that is making over her bathroom in the beautiful sea colors. I know she will appreciate these jars for her decor! You could use these jars in the kitchen (cocoa and marshmallows! ), bathroom (swabs and puffs), bedroom (makeup storage? Heck yes! ), and even the dining room table for a centerpiece. Yes, they are that pretty!